Even realistic woman-shaped crutches failed to sway the jury. Oscar Pistorius has been hailed by the Equalities Commission for smashing the last taboo for disabled people. After sort-of-standing trial for a crime typically associated with the able bodied, Pistorius has shown the world that the disadvantaged are just as capable of evil as the next man. 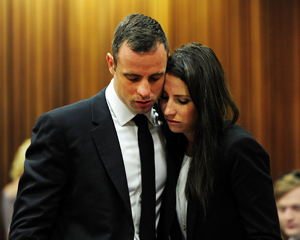 Before Pistorius stepped up to the mark and pretended to shoot a burglar, homicide had been considered by many to be the preserve of ‘normal’ people. “But the physically disabled can be mentals too, you don’t need toes to fire a gun”, revealed Long.